Brown ground beef or turkey. 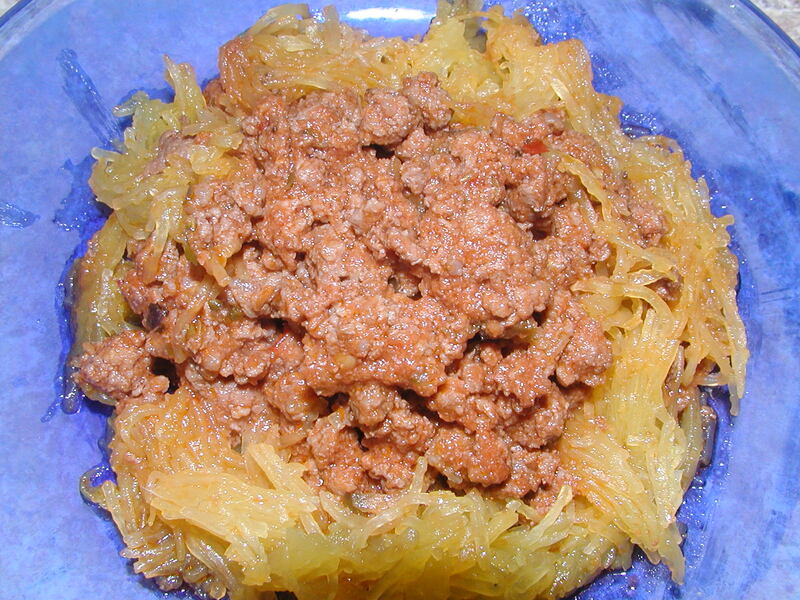 Add remaining ingredients, simmer, and serve over spaghetti squash noodles. Enjoy!